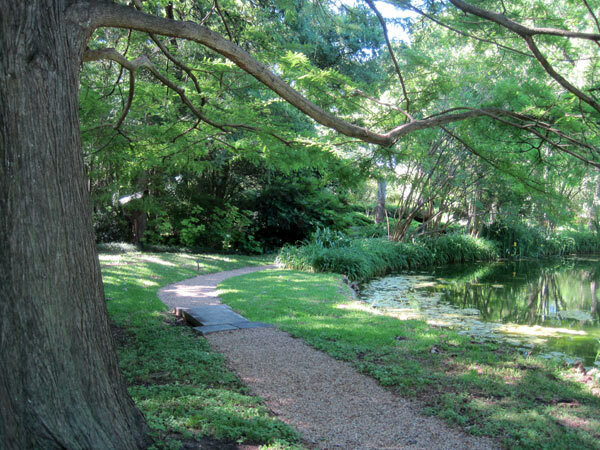 In 1953, Donald and Peggy Vogel purchased a wooded, six-acre lot adjacent to White Rock Creek in a residential area of North Dallas. The couple built Valley House, a Modernist artist’s retreat with a separate small framing shop. 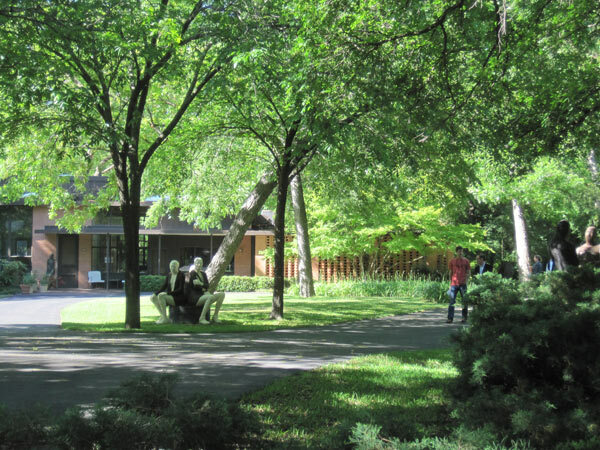 Between 1957 and 1959, the Vogels converted the frame shop into an art gallery for the exhibition of contemporary works, and landscape architect Clarence Roy created a sculpture garden on 4.5 acres south of the house as an outdoor extension of the gallery space. 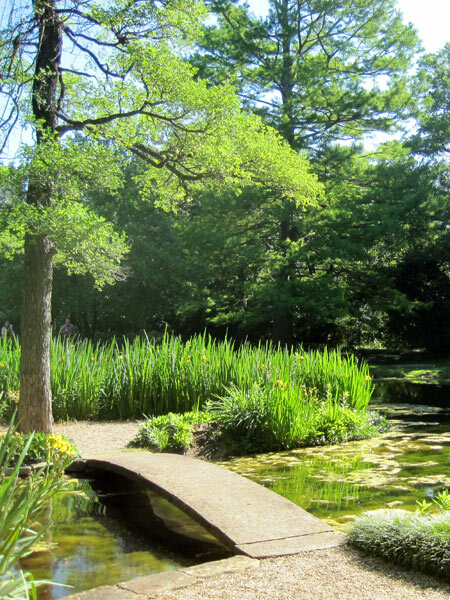 Roy (in consultation with Marie and Arthur Berger) created a picturesque landscape design that took advantage of the site’s existing stream and quarter-acre pond. 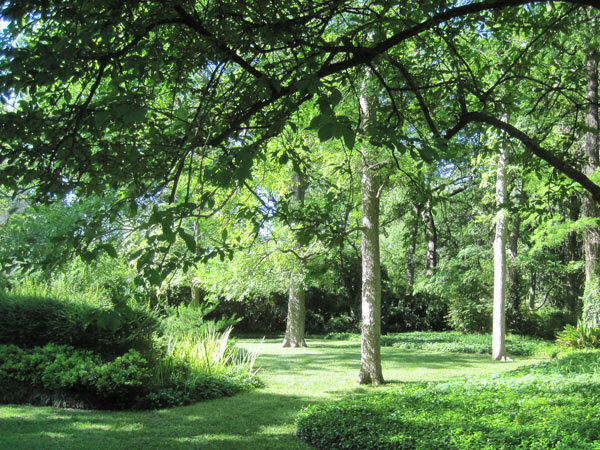 Around its perimeter, a pebble path edged with ferns and evergreen ground covers winds under a dense canopy of mature deciduous trees. Small stones demarcate planting beds and stone slabs form unique footbridges over the stream. 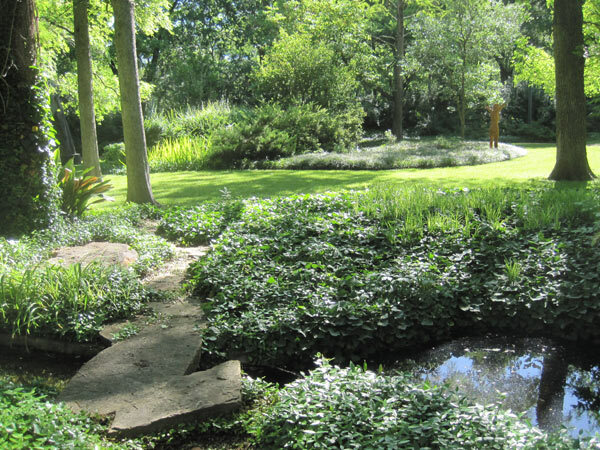 In 1981, following Mrs. Vogel’s death, Donald married landscape architect Erika Farkac, who spent the next two decades changing and enhancing the garden, introducing new features and ornamental beds planted for color and texture. 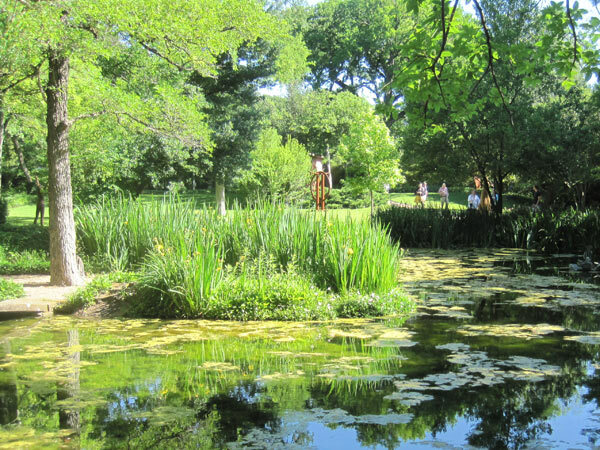 Yellow irises line the curved shoreline of the lily-strewn pond, and the verdant tranquility of the garden – with its carefully placed abstract and figural sculptures– suggests a Japanese influence in its design. 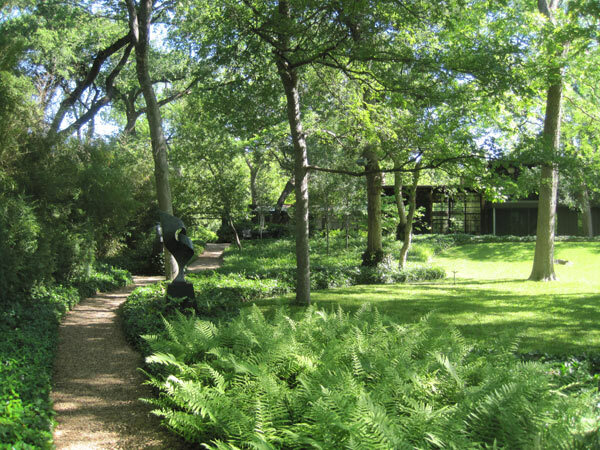 The garden includes works by sculptors Charles Umlauf, Sorel Etrog, David Cargill, and Henry Moore, among others. 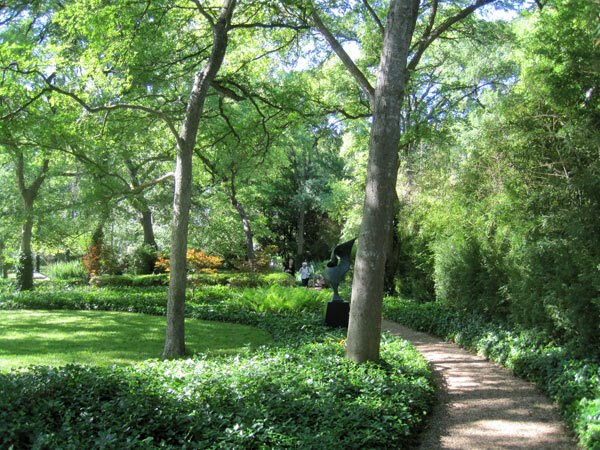 Beginning in 2004, landscape architect Tary Arterburn consulted on the garden’s evolution, including a new courtyard adjacent to the gallery entrance.